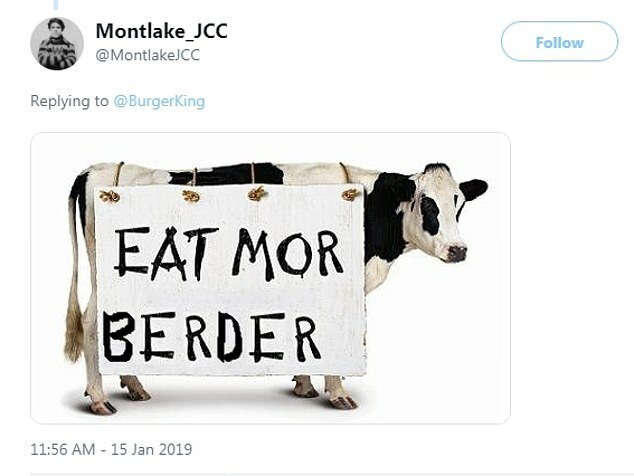 Fast food giant Burger King is trolling President Donald Trump over his Twitter flub in which he called ‘hamburgers’, ‘hamberders’. 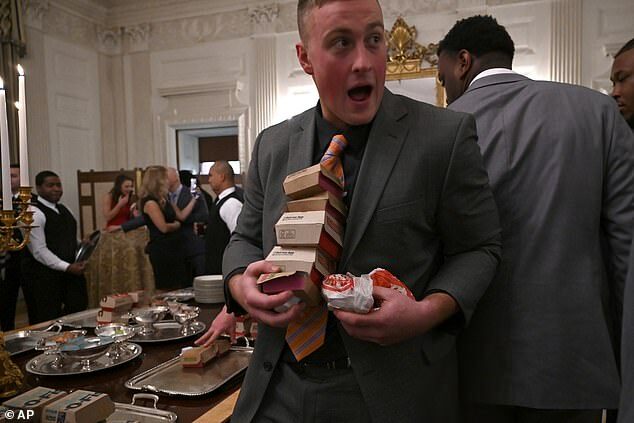 The internet is exploding over the president’s blunder, Burger King’s snarky response and the fact that Trump, a self-proclaimed billionaire, ordered junk food to celebrate championship-winning athletes. 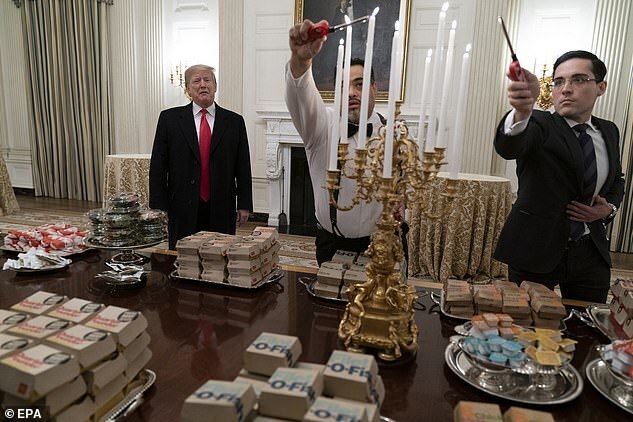 Trump announced during the Monday night event that he had ‘1,000 hamburgers’ delivered to the East Room, where chicken nuggets and pizza were also served, to celebrate the Clemson Tigers’ College Football National Championship win. 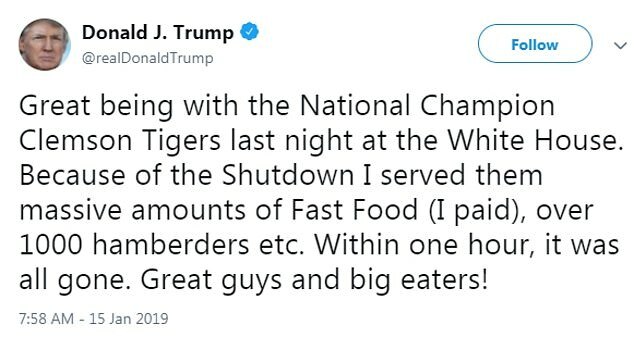 The president also joked that he nearly fed the hungry football players salads prepared by the first lady – but decided to serve up the greasy favorites instead. 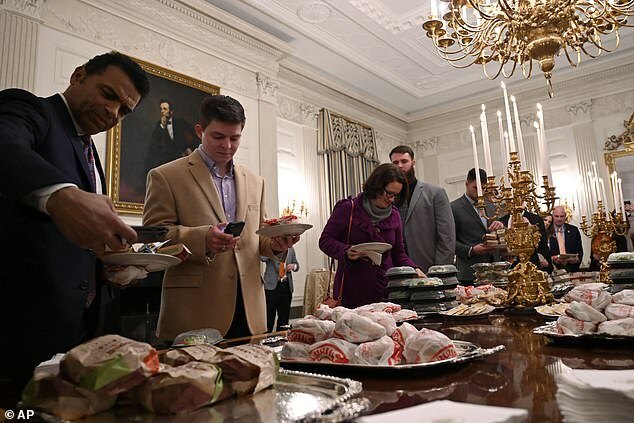 People on social media expressed their disdain that the president would serve the athletes fast food. 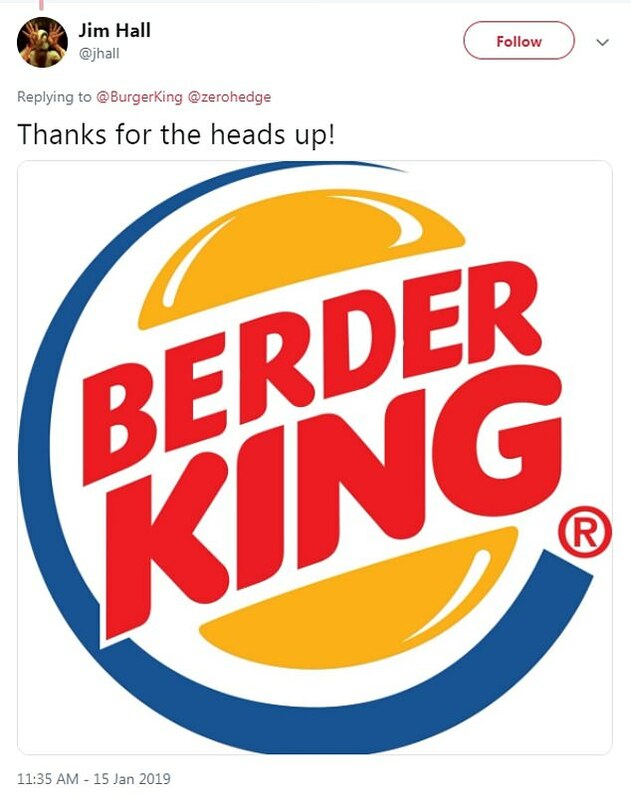 After Trump’s tweet and Burger King’s subsequent response, the memes came rolling in. 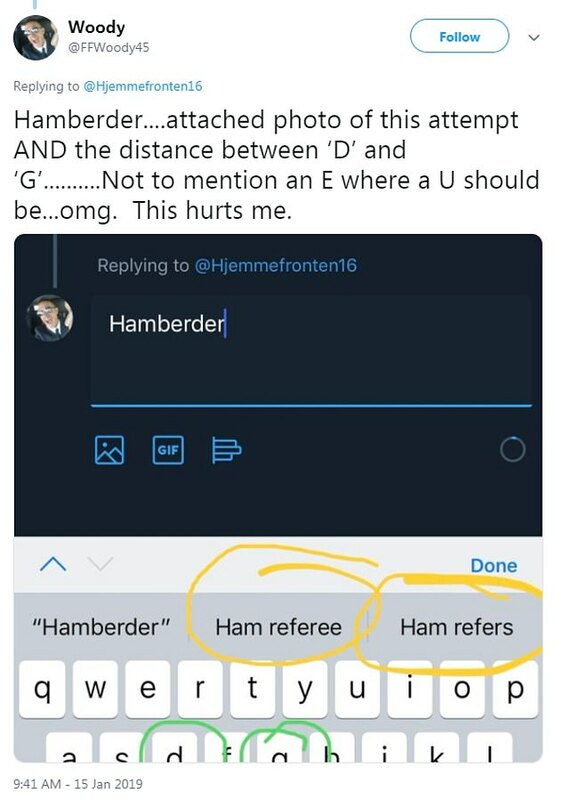 ‘When I was a kid, I hated when Mom made dinner with Hamberder Hempler,’ Bret Saunders wrote on Twitter. Others likened Trump’s typo to his now-infamous ‘covfefe’ tweet. ‘Great start to the day. 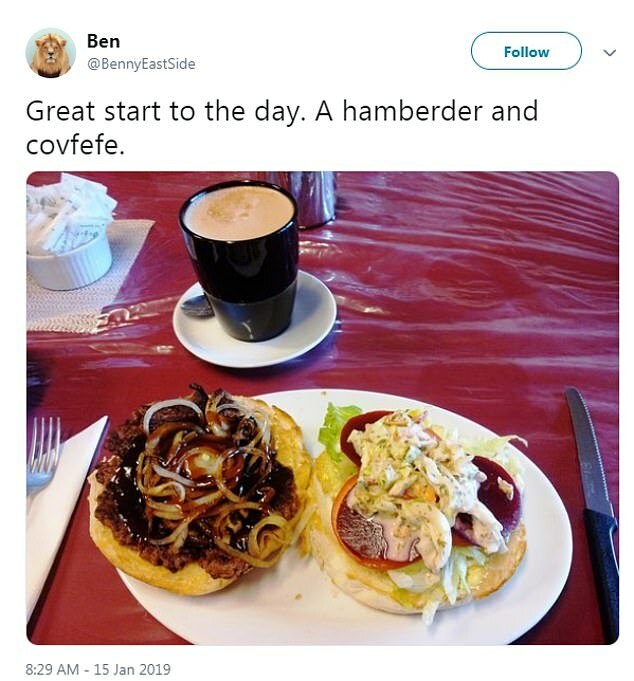 A hamberder and covfefe,’ one person tweeted with a photo of coffee and a burger. Another man noted the distance between the ‘D’ and ‘E’, suggesting the president went to great lengths to make the typo. 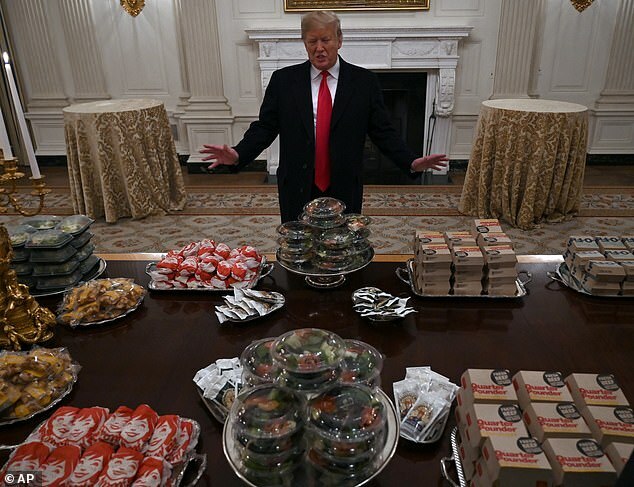 Trump paid for the smorgasbord himself rather than postpone the event because White House caterers aren’t at work during a partial government shutdown. ‘We ordered American fast food. Paid for by me. Lots of hamburgers, lots of pizza, I think they’d like it better than anything we could give,’ Trump told reporters as he arrived at the White House after a speech to farmers in Louisiana. ‘I wanted to see, so it was piled up a mile high, I just wanted to see what was left. I saw it at the beginning. How much he is left back there? How much?’ he asked. ‘None,’ a woman in the audience informed him. 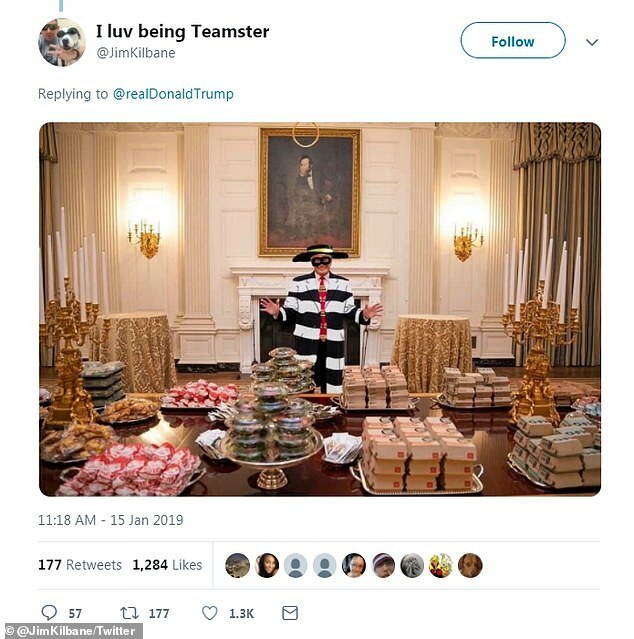 President Trump later teased in his remarks that the players ‘wiped out more food than any human has ever seen before’ after revealing that he first considered having his wife Melania ‘along with the second lady make some salads’ for the players.